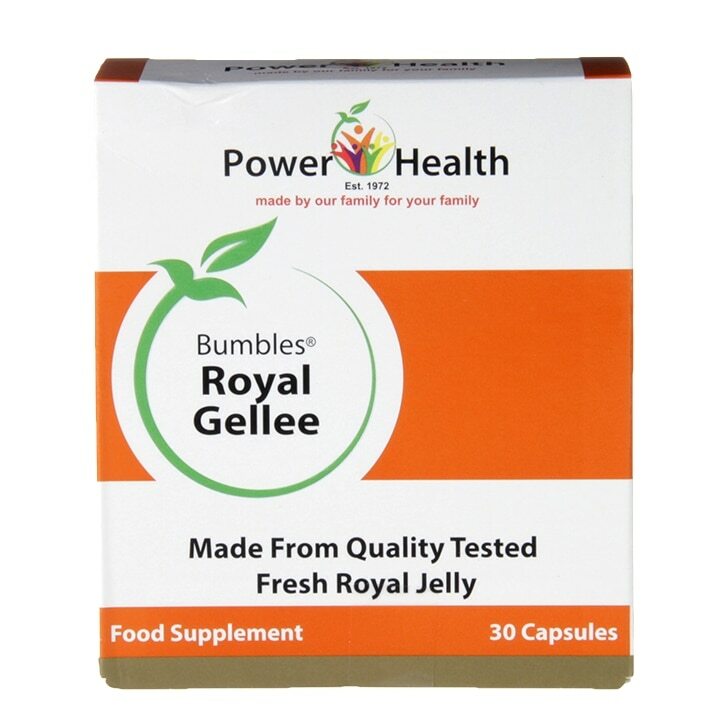 Power Health Bumbles Royal Gelee Capsules 500mg is rated 4.5 out of 5 by 11. Rated 3 out of 5 by Race from Not for me I’m afraid I read all the ingredients, and started taking this but ended up with lots of stomachache. If you cannot tolerate sugar. Do not try this. I am lactose intolerant, and found this very upsetting. Probably a great product, but not for me. Rated 5 out of 5 by MMUK from Great Product Good product. I buy it for boosting energy levels and it works very well. Rated 5 out of 5 by MAH8 from Royal Jelly I've been taking Royal Jelly for 40 years, and wouldn't want to be without it! Rated 5 out of 5 by Ronnie66 from Wouldn't be without them. I started using these two years ago and now wouldn't be without them. I saw a change in my skin withing two weeks.